Brief Synopsis – Biography of the man who’s love for music was able to change so many lives as he was able to affect the way people viewed music. My Take on it – This is another film that I knew absolutely nothing about before watching it besides the fact that James Stewart plays the lead. He is among my favorite actors and I was quite curious if he would be able to portray this character any differently from others he has played in his career. 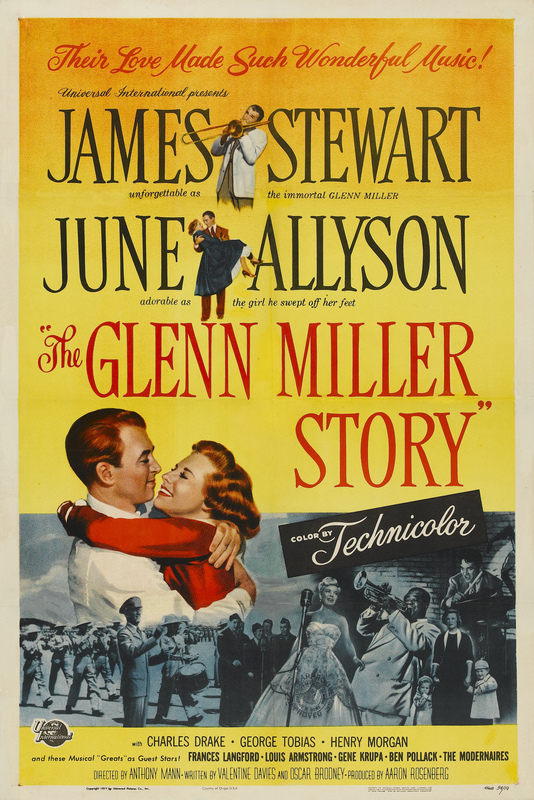 Stewart is great in this role and absolutely is able to portray the character of Glenn Miller with both gusto and charisma that helps explain how he was able to accomplish so much in life. We get to see how he started off as a small time musician and how his love for music was able to propel him to much higher levels. He did his own thing and found a way to become famous because he was doing things in a different way than most others. Love the way that we can see how he was able to constantly change people’s perspectives on orchestral music in both civilian and military life which ended up changing this to ways that are still being utilized today. Stewart has amazing chemistry with his costar June Allyson and they make it seem as if their characters have been together for so long which helps make things feel so realistic throughout. Bottom Line – Stewart is great in the lead role and manages to show how much charisma and gusto Miller had. We get to see how he started off in the music business and by the sheer love of doing things his way, was able to become so famous for what he was able to create. The way that he was able to change people’s perspective on orchestral music is great to see both in civilian and military life. The great chemistry between Stewart and his on-screen wife Allyson is sizzling throughout and it quite often seems as if they have been together for so long because it works so well. Recommended!